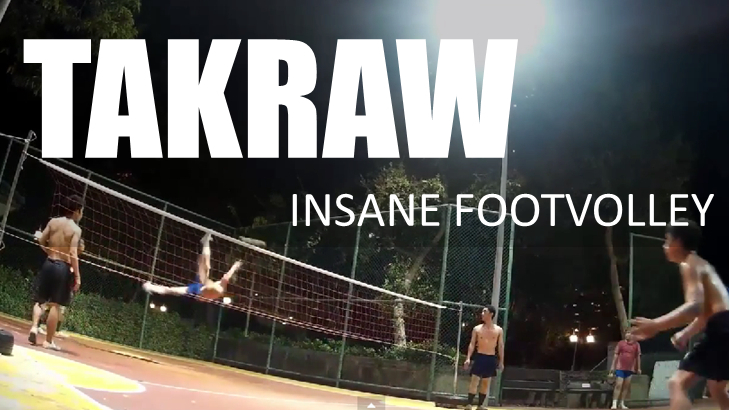 Sepak Takraw – Footvolley on Steroids! Just occasionally here at 5-a-side.com I like to move a little out of our main area of focus and look instead at some of the other interesting areas of the footballing family. 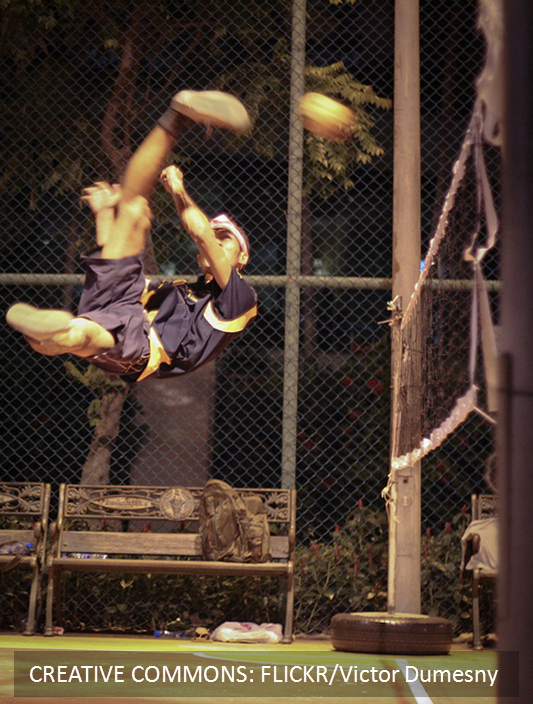 And in that respect, the game of Takraw is an undiscovered gem! Chances are, if you are in the western world, you haven’t seen this game played live. But it’s a game that is incredibly popular in South East Asia, in countries like Thailand, Malaysia, Laos and Indonesia. Although it’s not something that a lot of people have seen, it is definitely part of the football family: a lot of the techniques that they use with their feet and head are exactly the same techniques you can use for football – although the acrobatic volleys that these guys pull off are like nothing that I have ever witnessed on a football pitch. You might have played footvolley – a game very similar to volleyball, but played with your feet and head rather than with your hands. Takraw is essentially this, played in teams of 3 vs 3, both trying to get a special ball over a net that stands at 1.52m. In order to get the ball over the net, you see some absolutely incredible volleys where players seemingly hang in the air, contorted in impossible positions as they strike the ball over into their opponent’s court. The game is taken quite seriously in Asia, now being part of the Asian games and regional tournaments regularly take place. It can also be played less competitively, by a group of guys (or, less commonly in Asia, girls) standing in a circle trying to keep the ball in the air as long as they can. It’s mesmerizing stuff to watch. Takraw is a lot better to see than to read about, so it’s best you get straight in to watching a video. I’ve gone to the trouble of making this video myself using my own footage. I was in Bangkok at the end of last year and, whilst it seems everybody else was engaging in debauchery, yours truly was stalking Takraw players late into the evening to find some good footage for this video. That’s what a pro I am. A big shout out to the guys who not only allowed me to film, but welcomed me to get some great shots of them doing some extraordinary things. I hope you enjoy the video. That’s unbelievable! I can’t believe that those guys managed to land some of those jumps. Where do you even start learning that?! I’d never heard of Takraw – but what a game! Hi Adam, glad you enjoyed it. Pretty crazy isn’t it? They reminded me of cats – if you throw them they always seem to land on their feet. Same with these guys. Don’t go throwing any cats though!